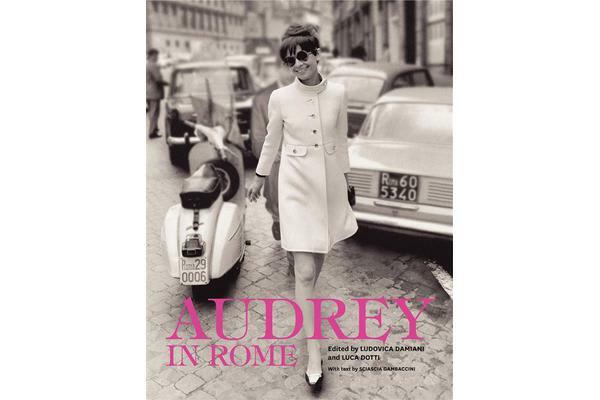 Assembled by Audrey Hepburn’s son Luca Dotti, Audrey in Rome is an intimate collection of almost two hundred candid photographs of the beloved actress and much-imitated style icon during the twenty-year period she made Rome her home. A private album of rare snapshots-many never published before-of Audrey Hepburn in her everyday life as a citizen of the Eternal City, Audrey in Rome is a treasure for every fan of her films and her impeccable, timeless style. With an introduction by Dotti that reveals Audrey’s private side and three photo-filled chapters organized by decade, the book captures the actress as she strolls around the city alone and with family and friends, walks her Yorkie, Mr. Famous, has breakfast in Piazza Navona, visits the local florist, and more. The book also contains set photographs of the films she made during her Rome years (Roman Holiday, War and Peace, The Nun’s Story, Breakfast at Tiffany’s) and of the famous clothes and accessories that helped create her iconic look. Irresistible as the actress herself, Audrey in Rome opens the door to Hepburn’s personal world.